Change your lightbulbs. Buy a hybrid. Recycle. These are just some of the actions we were told to take over the past couple of decades to do our part for the climate, especially after the release of Al Gore’s 2006 documentary An Inconvenient Truth. 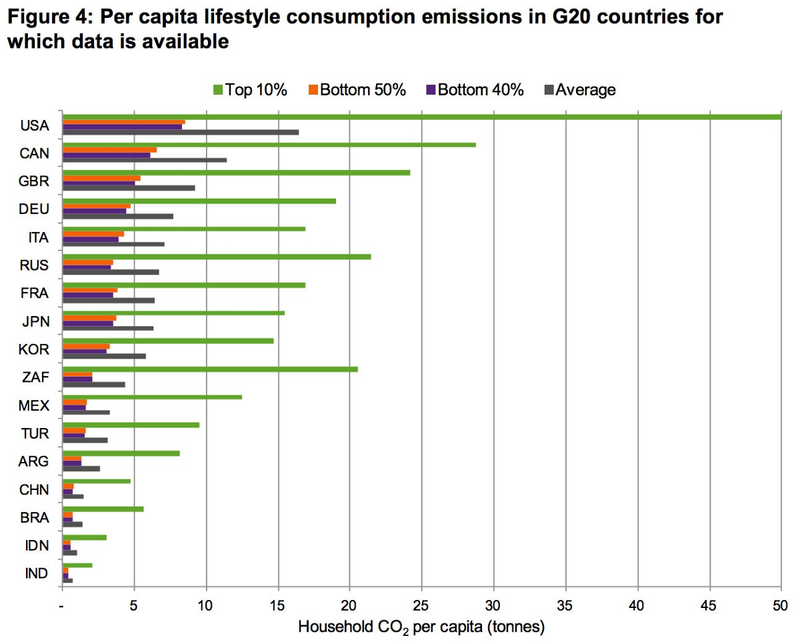 The dominant liberal narrative asserted that these small changes in individual consumption would be enough to avert climate catastrophe. It’s easy to see why this was the solution pushed by the liberal establishment. Since the 1970s, we’ve been inundated with messaging prioritizing individual action over that of governments and larger social systems. Eventually even centrist and center-left political parties like the US Democrats, UK Labour, and many more like them gave in. Through this lens of understanding the world, the black homeless man you passed on the street didn’t find himself there because of systemic racism, intergenerational poverty, and other fundamental social factors — he was there because he wasn’t trying hard enough, not applying for jobs, not putting himself out there. Failures of governments and society were recast as individual failures, and people went along with it. So when this thinking was applied to climate change by the very people who adopted it from right-wing economists and political parties — Bill Clinton and Al Gore were dubbed the New Democrats for embracing neoliberalism — it’s no surprise that they focused on the individual, even though individual action cannot properly address climate change. And that may be part of the reason that, despite decades of agreements and accords — remember, the Rio Earth Summit brought together more than 100 heads of state to discuss climate change back in 1992 — emissions kept rising. By focusing on individuals, at least in the dominant English-speaking countries, governments and corporations were let off the hook. The Intergovernmental Panel on Climate Change (IPCC) released its Special Report on Global Warming of 1.5ºC — that’s 2.7ºF for Americans — on October 8, 2018, laying out the swift action that needs to be taken to avoid catastrophic warming and how the half-degree difference between 1.5ºC and 2ºC will actually have devastating consequences. 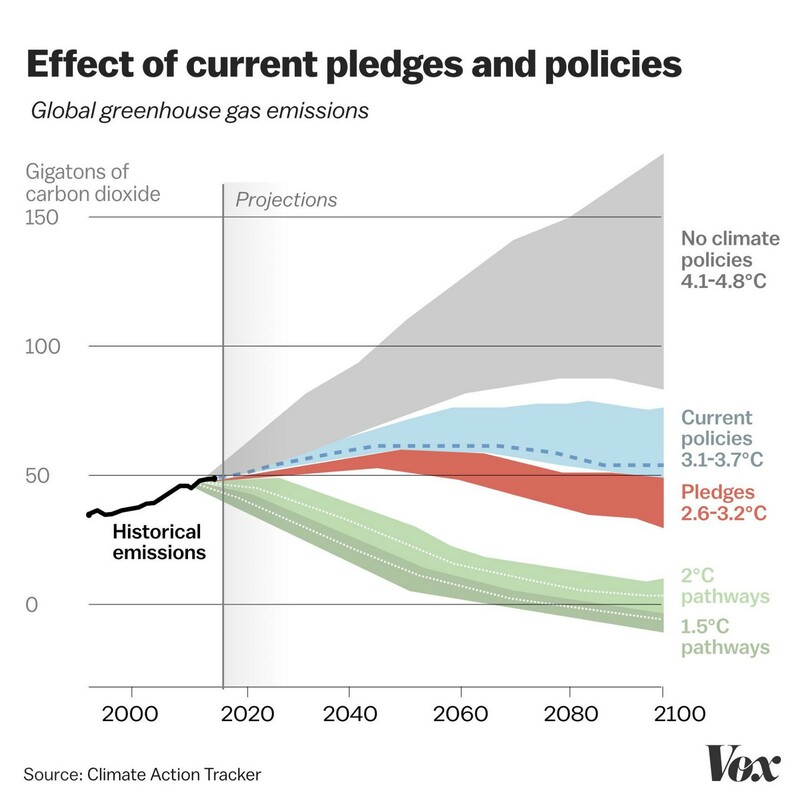 Carbon pollution would have to be cut by 45% by 2030 — compared with a 20% cut under the 2C pathway — and come down to zero by 2050, compared with 2075 for 2C. This would require carbon prices that are three to four times higher than for a 2C target. But the costs of doing nothing would be far higher. The report makes it clear that we need to keep warming at or below 1.5ºC, and that will require swift action over the next 12 years to slash emissions by 45 percent. Yet the world has already warmed by 1ºC, and based on current pledges we’ll soar past 2ºC and may even surpass 3ºC of warming. And if the difference between 1.5ºC and 2ºC is so bad, imagine what will happen if yet another degree is added. There can be no more delay in taking the necessary action to rapidly decarbonize our energy systems, transform our transportation systems, change the way we build to make it more sustainable, and more. This does not need to be scary; indeed, it presents us with opportunities to make our societies fairer, more resilient, and more in line with the progressive values that the vast majority of people share. If that’s the case, why aren’t we changing? Because powerful interests are standing in the way. Australian politics has been thrown into disarray for a decade over climate change, with prime ministers constantly being deposed over climate policies. In Canada, Justin Trudeau was elected in 2015 promising real climate action, only to use a failing plan to price carbon to greenwash his nationalization of a pipeline, approval of a new liquified natural gas facility, and support for expansion of oil production on both sides of the country. And that’s not even to mention the United States, where a Republican president backed by major fossil fuel interests has again challenged international climate agreements, opened massive new areas to oil exploration, and is trying to save the coal industry — among many other terrible actions. It isn’t a coincidence that this keeps happening across the world. There are powerful people who benefit from the status quo and do not want to see a transition to renewable energy, an end to automobility, and other changes that will free us from our dependence on fossil fuels. 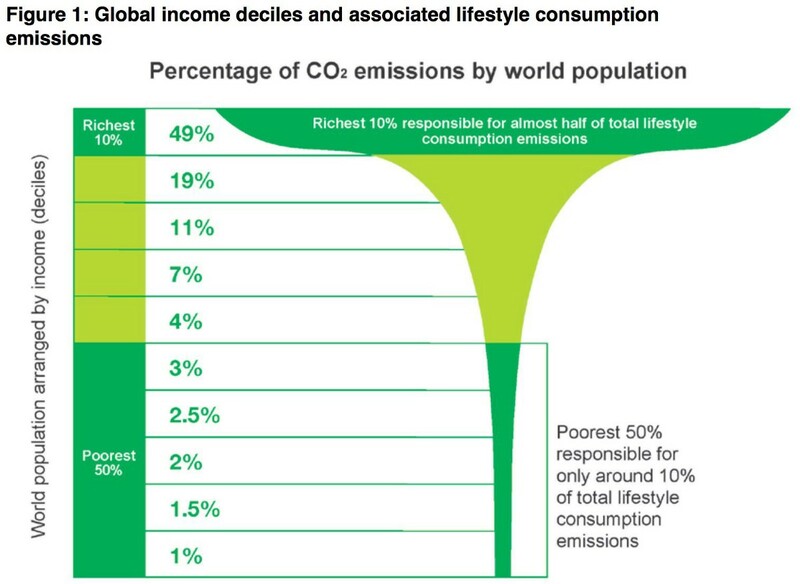 Consider this: a mere 100 companies are responsible for 71 percent of global emissions since 1970, and when we consider lifestyle consumption emissions — essentially what would be reduced through individual decisions — 49 percent are generated by the top 10 percent. Remember when Leonardo DiCaprio took a private jet from New York to Cannes to accept an environmental award? That’s how rich people live, and it’s not going to change without a radical reimagining of what our societies should look like. Just think for a minute of all that’s done to stop politicians from implementing policies that would accelerate the transition to renewables and make our societies more sustainable; and stop citizens from demanding it. The billionaires in charge of these companies spend millions lobbying politicians to get them to abandon their plans, or at least water them down to make them ineffective. They own media companies and influence those they don’t through ad buys to ensure the news media doesn’t pay much attention to climate change, and when they do the network brings on “both sides” of the “debate”: a representative of the scientific consensus and someone paid by fossil fuel interests to produce material aimed at confusing the public. 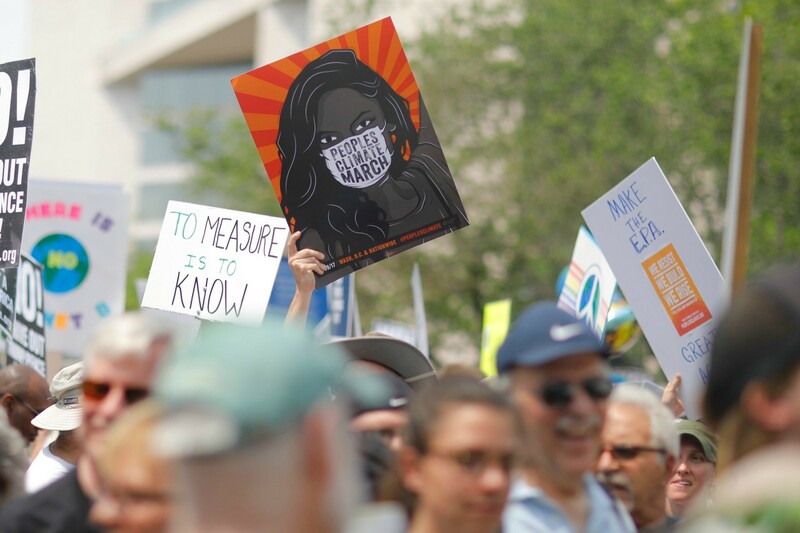 We shouldn’t underestimate the power of the media to shape our views and opinions, and their coverage of climate change has long been framed in a way to confuse viewers and downplay the importance of the issue. That can’t be allowed to continue. It may seem alarming to some to consider “radical” change as the only option, but consider how the status quo has failed us. It’s allowed powerful interests to capture and confuse the debate so the can keep increasing their bank balances while the planet gets warmer and presents a threat to much of humanity — especially those in less developed parts of the world. We’ve developed a way of life that leaves us lonely, depressed, unhealthy, and always working to try to make ends meet. We’re polluting our air and water, driving longer distances to get to jobs whose wages haven’t increased in decades, to pay for the debt we accumulated to buy everything we were told we needed to be happy, yet we’re miserable. When will people finally say enough? There’s no better time than the present. A small, wealthy elite was able to hijack the conversation around climate change because they had the power — their wealth was increasing and they’d successful decimated the unions, robbing working people of their best way to challenge those in power. However, after decades of accepting their deteriorating position in society, people are fighting back. People are marching for a better world, challenging the people in power, and backing candidates and movements that truly represent them. In the UK, socialist Jeremy Corbyn has redefined the notion of what is politically acceptable, just as Bernie Sanders did in the United States — and now more people are following in their footsteps. The IPCC’s latest report proves that there’s no longer time to delay. Action needs to be taken now to drastically reduce emissions and transform our cities to make them not just more sustainable, but also more liveable. The wealthy might be able to escape the worst consequences of 3ºC of warming, but most people will not and they need to band together to ensure that doesn’t happen. What does that mean, in reality? No more voting for politicians who don’t support rapid decarbonization, sizeable investments in public transportation, and policies to tax wealthy people and massive corporations to pay for it; collective action to challenge new fossil fuel developments; abandoning media that won’t stop inviting climate deniers or ignoring the climate connections to the stories they cover; and even more radical action where necessary. Will that mean changes for individuals, in the ways they live and consume? Of course, but those shouldn’t be scary. If the transition is undertaken in a way that puts the interests of the many before those of the few, there’s no reason to believe that living standards won’t increase. We have the power to force governments to make the systemic changes that are necessary and to stop them from listening to corporate lobbyists and donors; we simply need to band together and use it.